Monitoring for developing smoke is an essential aspect in the security and safety of any facility. 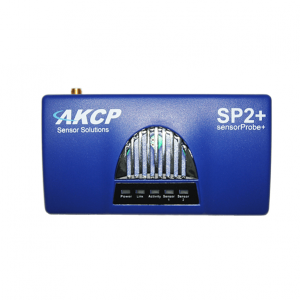 AKCP has designed a smoke sensor specifically for use with its sensorProbe and securityProbe product line. These smoke detectors are easy to install and configure and can be used in conjunction with all other of AKCP’s alerting features. 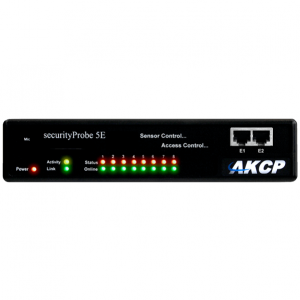 As with other AKCP sensors, this device has it’s own SNMP OID for monitoring across a network, and integration with third-party Network Management Systems. • Low pro le design for ceiling mounting for maximum smoke detection. 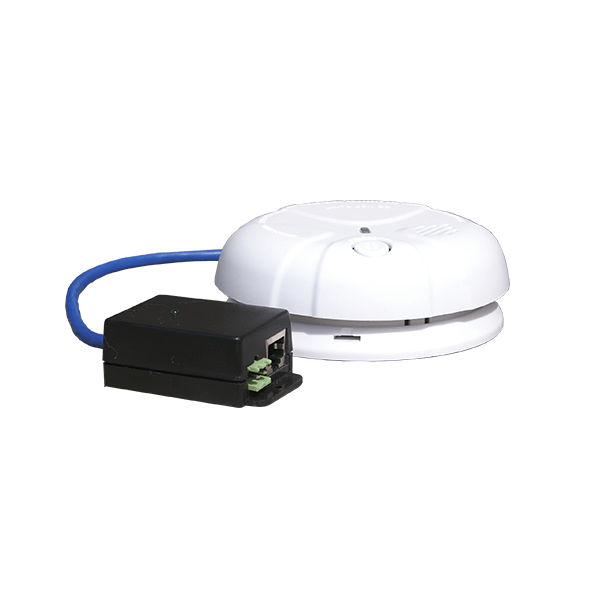 • Includes disconnect alarm that checks that the sensor is securely plugged into the sensor/securityProbe • The smoke detector can also be attached to dry contacts of a X20 or X60 unit. • With 9V battery as backup the sensor / securityProbe will still work as a smoke detector on its own.